I just completed day 1 of the P90X workout!!! Only 89 more days to go :-)! Day 1 was Chest and Back, and the Ab Ripper X.The Chest and Back workout consists of 12 different exercises (lots of pull ups with the the P90X pull up bar, push ups, etc. ), with 2 sets of each exercise (you go through all of the exercises once, and then you do it all over again, except in reverse order). The first set wasn’t so bad, but by the time I got to the second set, I was definitely feeling the pain (a good kind of pain). I pushed through it, and I feel like I got a great workout. When I got to the Ab Ripper X workout, I started running out of energy. The Ab Ripper X consists of 12 different abdominal exercises. 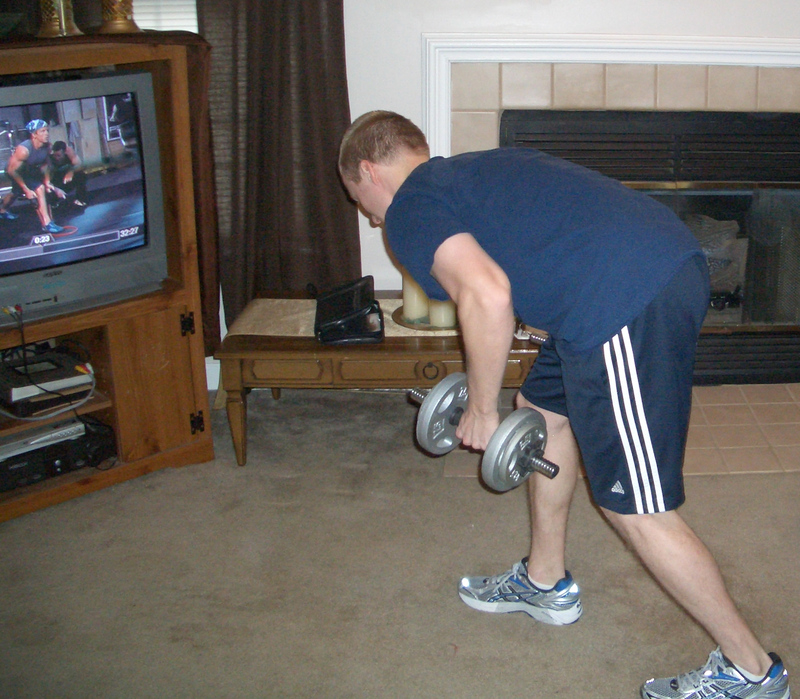 I had to pause the P90X DVD a couple of times to take a break. I had some grape juice in the fridge, so I grabbed a cup of that to help keep me going. I definitely felt the burn in my abs throughout the Ab Ripper X. 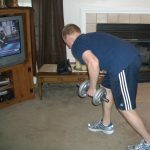 Some of the exercises use your hip flexors, and I definitely felt those burning as well. exhausted and really glad that I was almost done. The bonus round of 10 extra reps was an exciting surprise. I pushed through them, but it really, really burned!!! As far as my nutrition for the day, I think I did ok (I could have done better). I had my Coast Guard drills this weekend (I’m in the Coast Guard Reserves) so my breakfast wasn’t all that healthy. I ate eggs, ham, and french toast. The french toast is what I should have avoided. For lunch I ate a peanut butter and jelly sandwich (lots of protein & some natural sugar prior to my workout). After my workout I had the P90X Recovery Drink, and I’m going to have a protein shake in a few minutes. Tonight will be filled with temptations; we are hosting a “wine and cheese” at our home. I’m planning on having 1 glass of white wine, and some light snacks. I’ll probably also drink a protein shake. Well, I think day 1 of my P90X workout was very successful. I’ll definitely feel some soreness tomorrow (I already feel sore), but I’m excited for some Plyometrics!